According to eMarketer, travel brands plan on investing in a variety of marketing tech in 2018, and the key focus is rightly on one thing: mobile. As illustrated in the ComScore chart below, our mobile phones have become our primary digital tool. 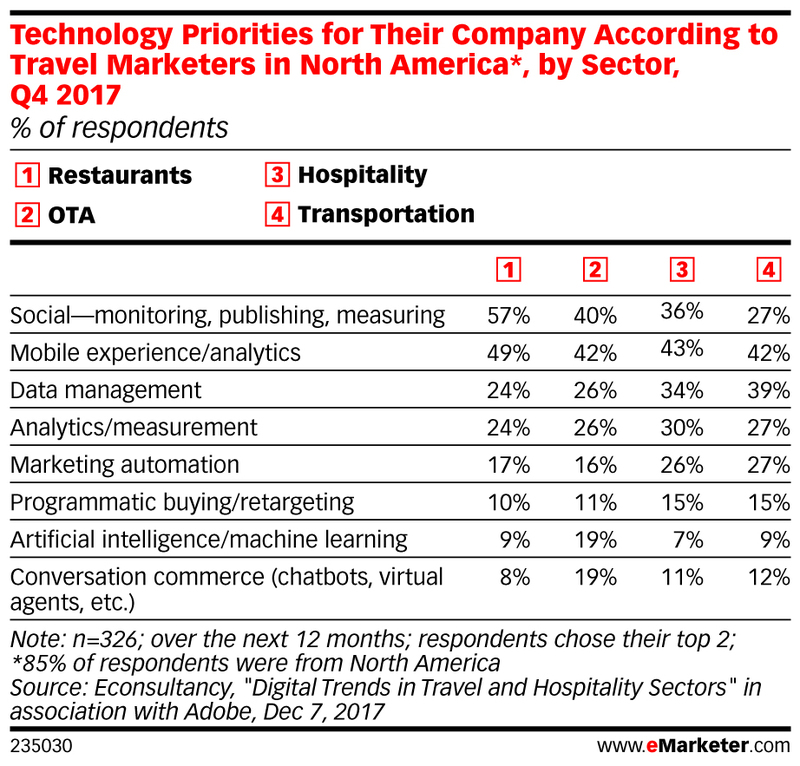 Online Travel Agencies (OTAs), Hospitality, and Transportation all name mobile experience and analytics as their top marketing priority for the year. But analyzing eMarketer’s results, I can already detect glaring oversights in the way the industry is splitting its focus. Travel marketers are focused on mobile, but are they considering the entire mobile journey? You’ll note that programmatic buying/retargeting, and AI/ML are far down the list of technology priorities for 2018. But these technologies are by and large what make mobile marketing sophisticated, frictionless, and non-disruptive. That’s because these technologies power mobile-first marketing techniques such as programmatic native advertising. The practice of segregating mobile experience investments from investments in programmatic and AI technology demonstrates a lack of technological understanding common across the marketing landscape regardless of industry. The mobile experience doesn’t start on your web property, it begins well before that, during marketing & advertising distribution. 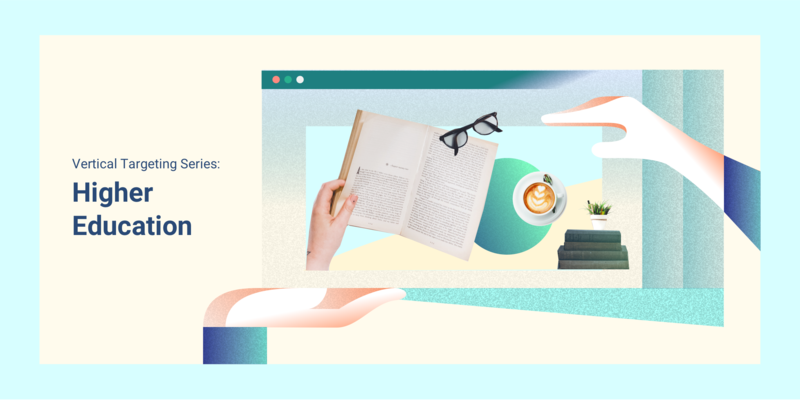 Most marketers fail before a user even arrives at their perfectly polished website because they lack the tools to reach in-market audiences across the modern web landscape. In other words, investing in a mobile experience goes beyond investing in a mobile-friendly site. It starts with the way you spread the word. If you’re using traditional, desktop-centric marketing tactics to reach a mobile audience, you’ve already lost. There is only so much room on a phone screen and users hate to be interrupted from their intended browsing experience. Enter programmatic native advertising. In a word, the ads ‘fit’. 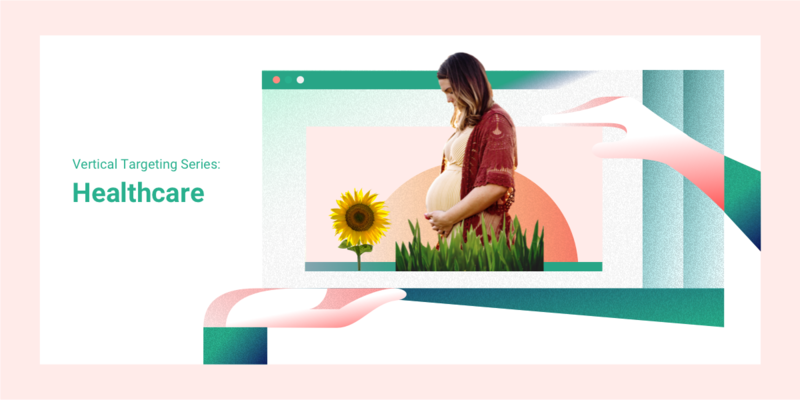 The in-feed nature of the ad is adapted to the scan and scroll behaviour of users across mobile apps and browsers, leading to increased click-through rates, longer time on site, and even increased conversion rates. For example, Porter Airlines decreased their cost per customer acquisition by 35% using in-feed native advertising and the corresponding intent-based targeting. Moving beyond the form and function of programmatic native, Machine Learning (ML) and other aspects of Artificial Intelligence (AI) allow for sophisticated, cross-device targeting and attribution. In a 2017 survey, StackAdapt uncovered that 47% of consumers still aren’t buying on mobile and 82% of consumers who do buy on mobile say that small screens and poor landing page experiences often deter them from converting directly on their smartphones. Moving beyond the form and function of programmatic native, Machine Learning (ML) and other aspects of Artificial Intelligence (AI) allow for sophisticated, cross-device targeting and attribution. 38% of people discover a product for the first time on mobile and then they choose to use desktop to actually complete the purchase. 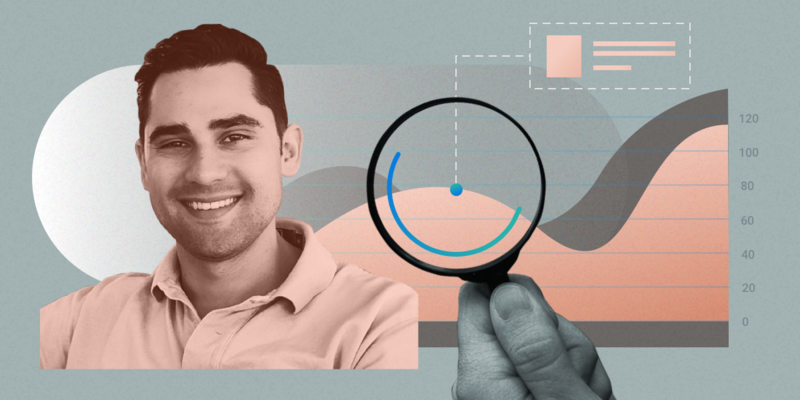 By integrating AI into our platform, StackAdapt has built intent-based targeting technology that targets users with in-feed native ads across devices and locations, and with the implementation of conversion tracking, provides insights into the time the user first clicked on your ad, the website that ad was placed on, the time to last click before they converted, and even the devices that these users were on. As you can see, in-feed native advertising drives in-market audiences to mobile properties and has the potential to track the conversion journey from first-touch to last. The third point in its favor is that the same programmatic and AI technology that gathers these insights also allows for ongoing optimization of campaign performance by capturing and storing, then learning from, and finally, utilizing the learnings of the data in a closed loop of ever-increasing intelligence. AI technology allows for ongoing optimization of campaign performance by capturing and storing, then learning from, and finally, utilizing the learnings of the data in a closed loop of ever-increasing intelligence. If travel marketers, indeed all marketers, plan on in investing in mobile experiences, it is integral that they consider the entire mobile journey, from first-touch to last; from the way you distribute your content, to the way a user consumes your advertisement, to the way they convert on your web property. It makes no sense to create innovative mobile experiences without reaching audiences through mobile-first tactics. Programmatic, retargeting, and AI technology are no longer a “nice to have” and are no longer limited to the big name elite. These technologies are a key function of mobile first marketing, specifically the front-runner: native advertising.